Premium exterior emulsion with low sheen finish. Villa Sunfast Luxury Exterior Finish is luxury water based exterior finish. It is UV resistant, mould resistant and provides good rain protection. The product is also available in Solomon Islands. Plaster: Recommended curing time for new masonry surfaces is 28 days. Cleaning: Surface should be free from any loose paint, dust or grease. Growths of fungus, algae or moss should be removed by wire brushing and water. For excessively damp areas, use Asian Paints DampBlock to limit further dampness. When the underlying surface exhibits chalkiness, in spite of thorough surface cleaning, use Apco Coatings Exterior Sealer. 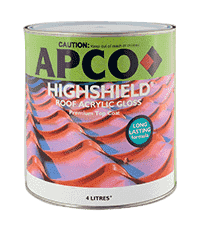 Filling for cracks: For filling cracks, use Apco Coatings Interior/Exterior wall putty. 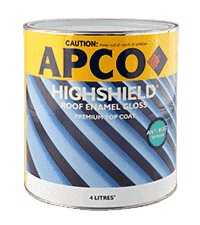 Filling for holes and dents: Use Apco Coatings Interior/ Exterior Putty, or white cement and fine sand in the ratio 1:3. Apply Sureprep Acrylic Interior Exterior Acrylic Sealer. Apply coats of Villa Sunfast top coat with an interval of 3-4 hrs. 1What’s causing white crusty deposits on the walls? Efflorescence is the formation of crusty white salt deposits, leaching on to the surface of masonry or mortar as water passes through it. Efflorescence occurs when water gets into concrete and dissolves lime within the concrete matrix. As the water evaporates, lime is carried to the surface and deposited as salt. Excess moisture escaping through the walls. Insufficient curing time for new cement or mortar. Painting on incompletely dried or uncured concrete. Failing to adequately to prepare the surface by removing all previous efflorescence. Seal cracks with Berger Siliconized Acrylic Caulk. Remove efflorescence and loose material by wire brush or power washer. 2How do I get the rid of unsightly mildew on my walls? 3What are those reddish-brown spots on my wood and walls? 4Why do I have a patchy paint finish? 5Why is my paint peeling off the surface? 6Why hasn’t the paint stuck to the surface of my walls and wood? 7Why didn’t the hide the surface beneath in two coats as recommended? 8Why does my paint come off the wall when scrubbed? 9Why did the paint roller leave so many marks on my walls? 10My new paint job is all wrinkled. Why has this happened? 11My walls and ceiling were white when painted, and now they’re yellow. Why is this? Premium exterior emulsion with semi-gloss finish.